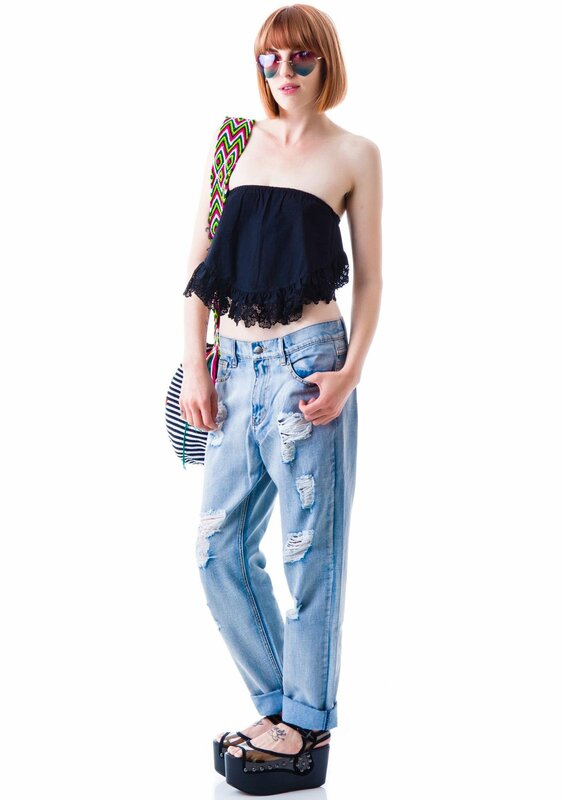 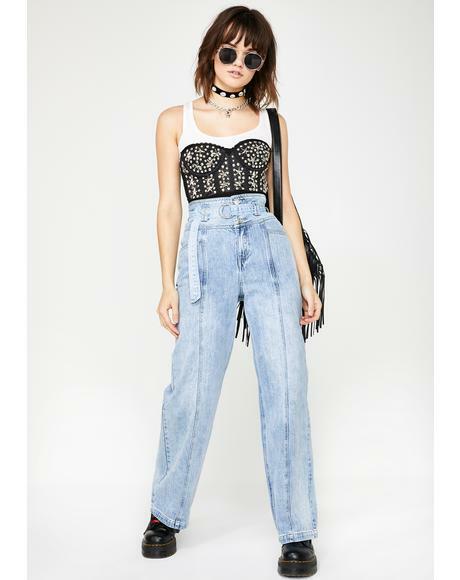 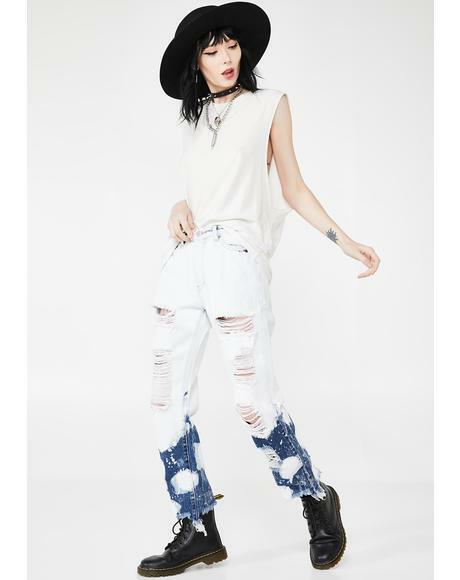 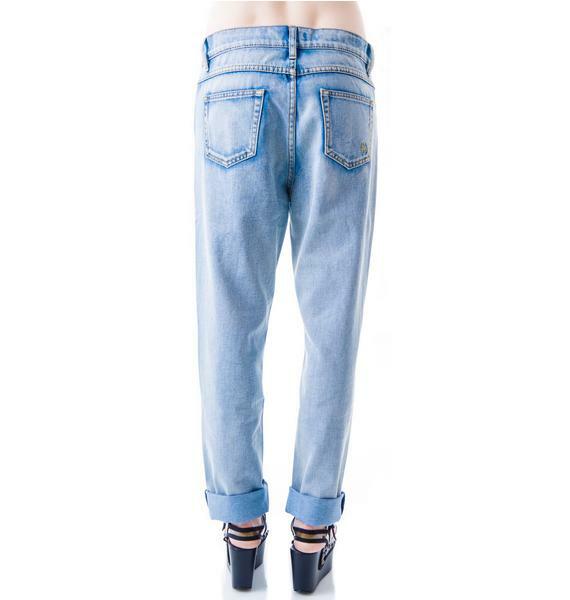 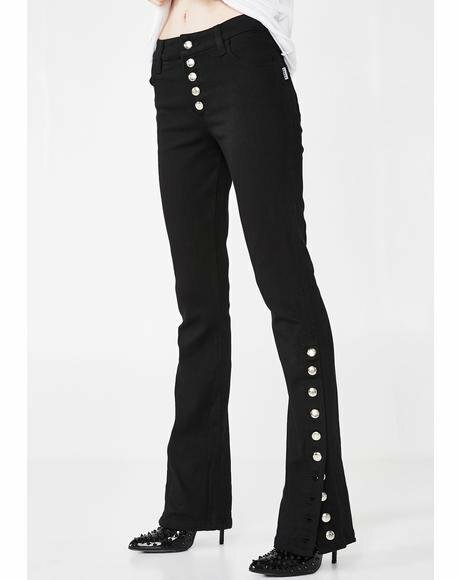 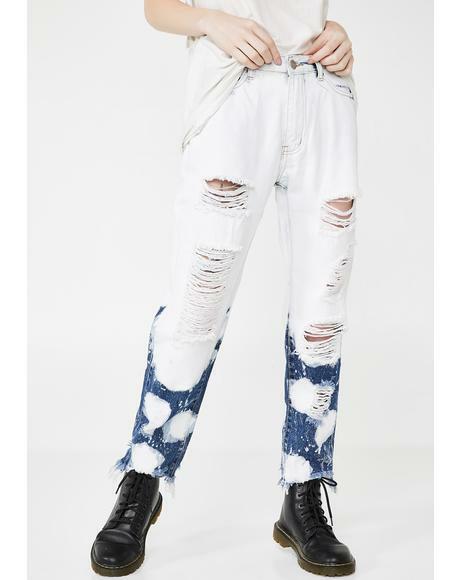 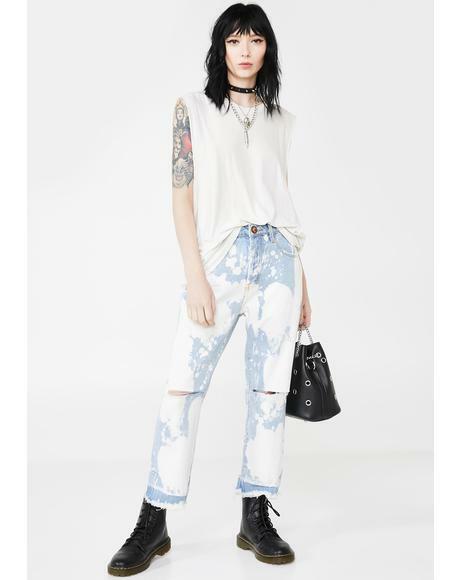 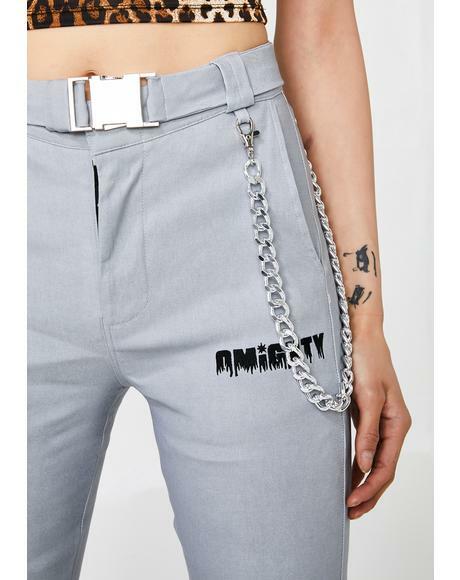 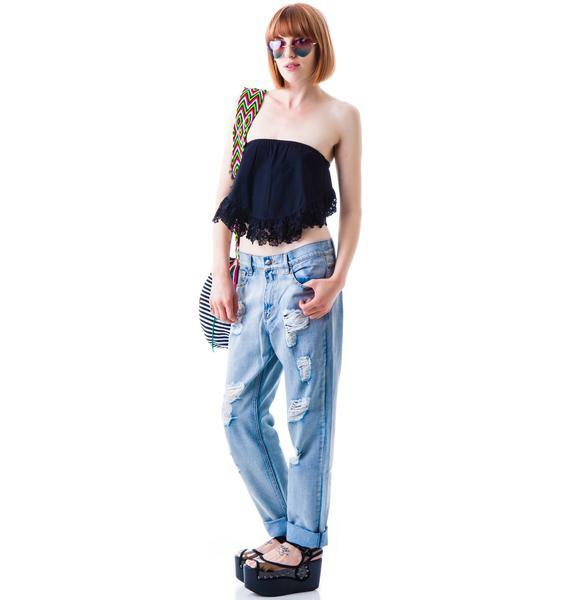 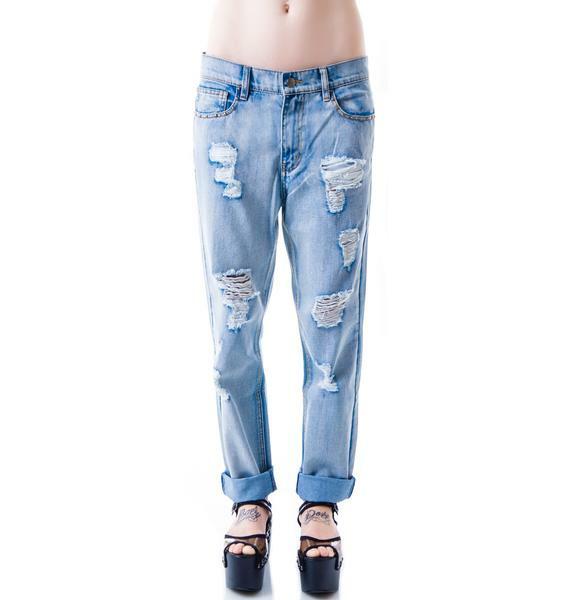 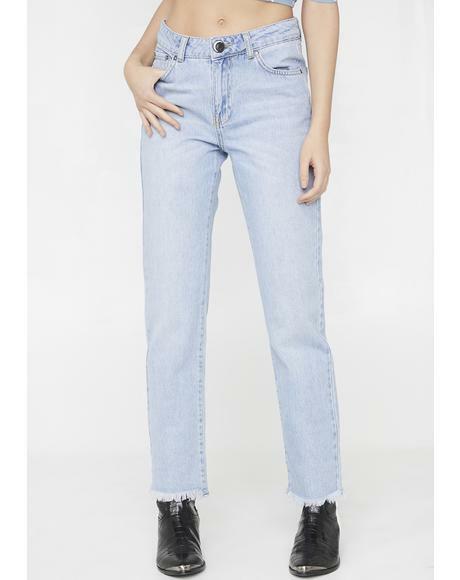 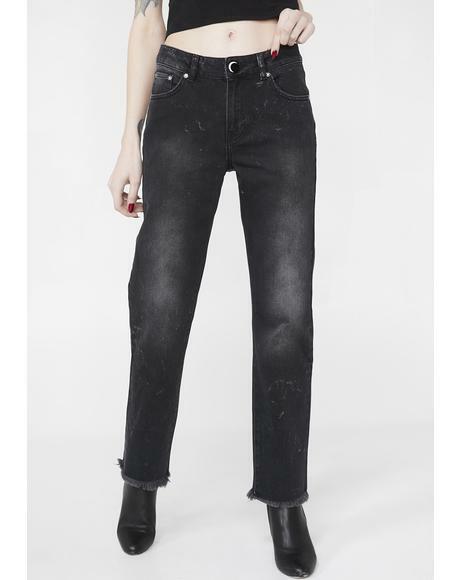 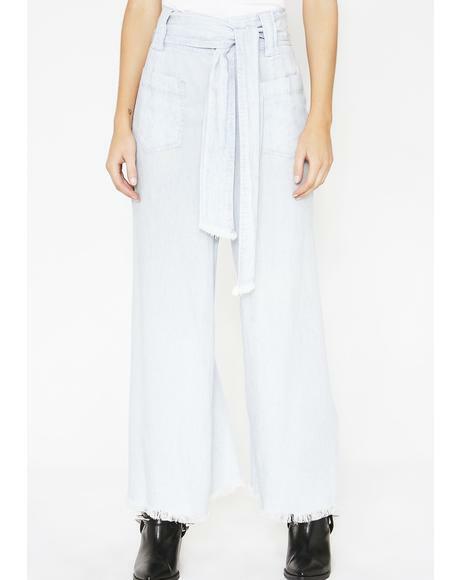 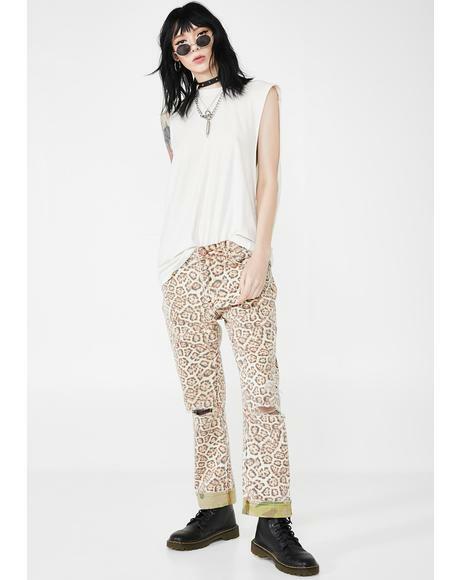 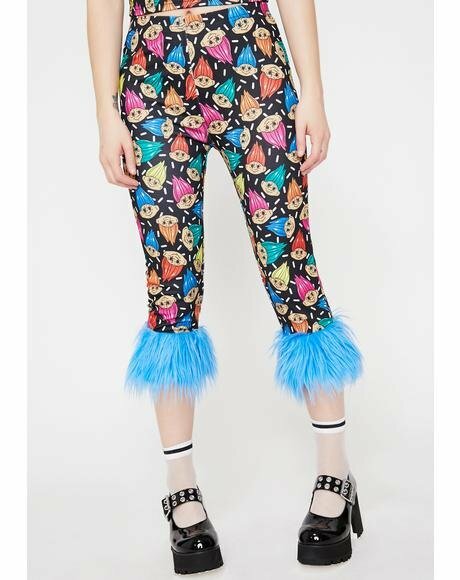 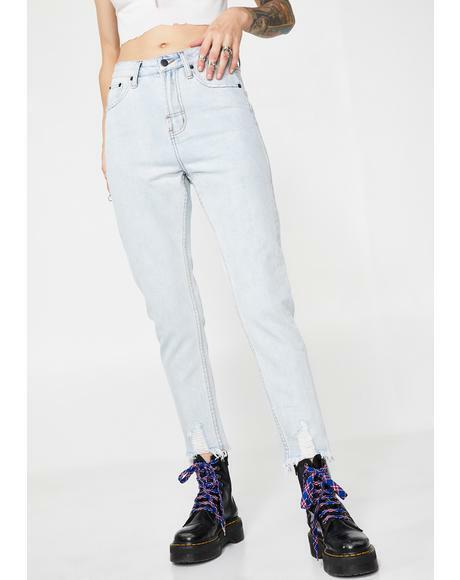 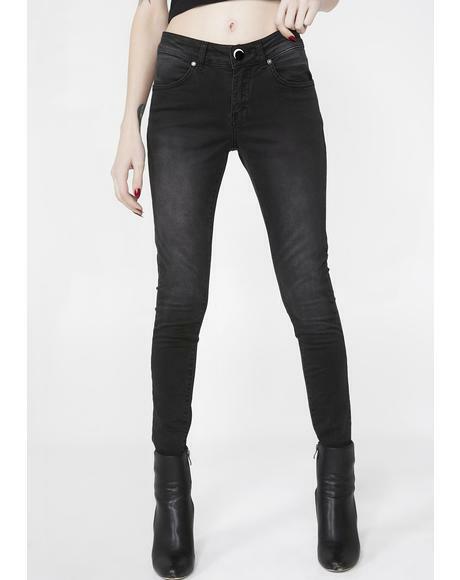 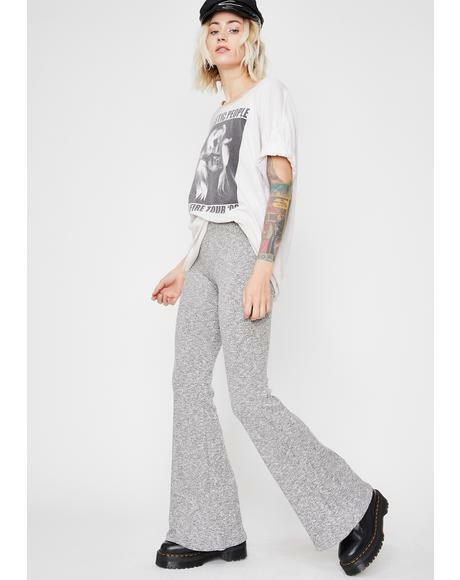 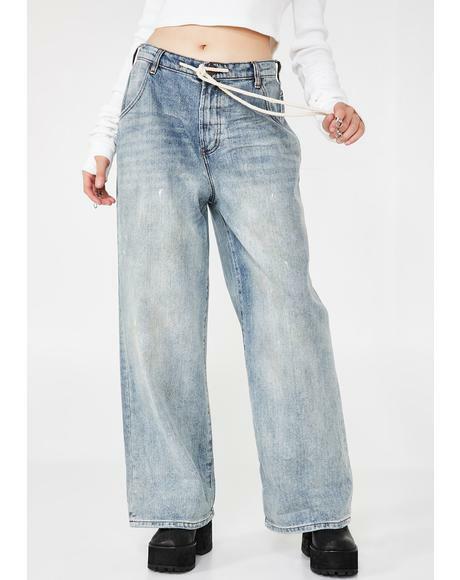 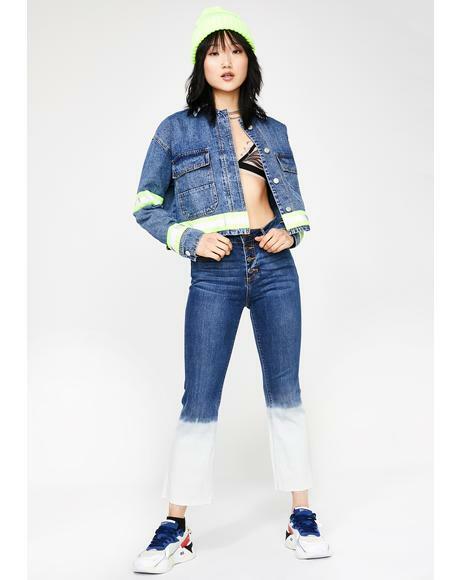 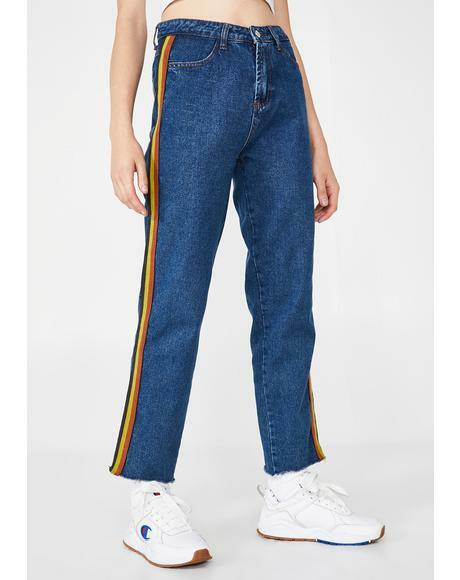 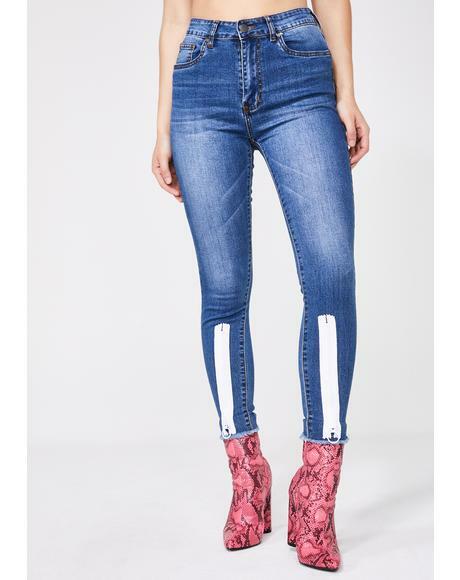 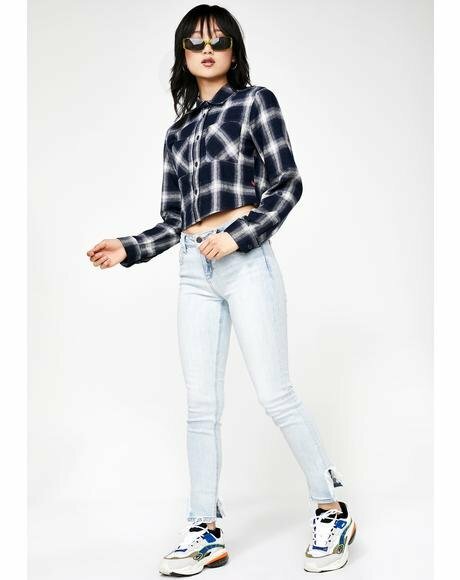 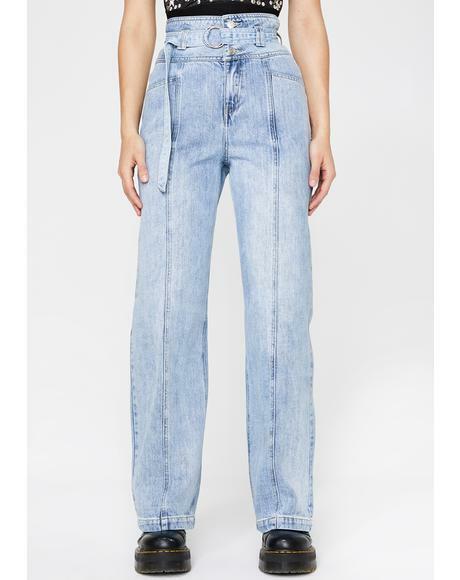 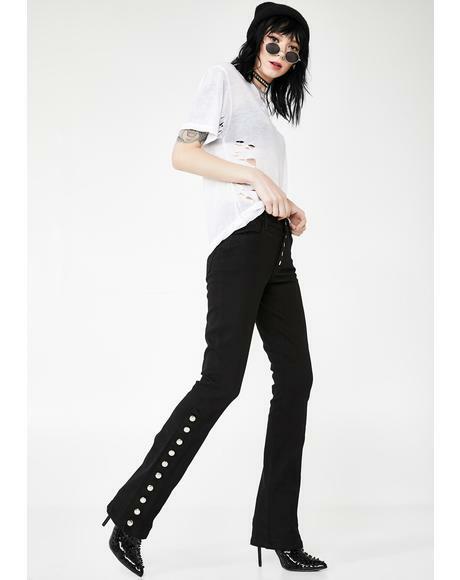 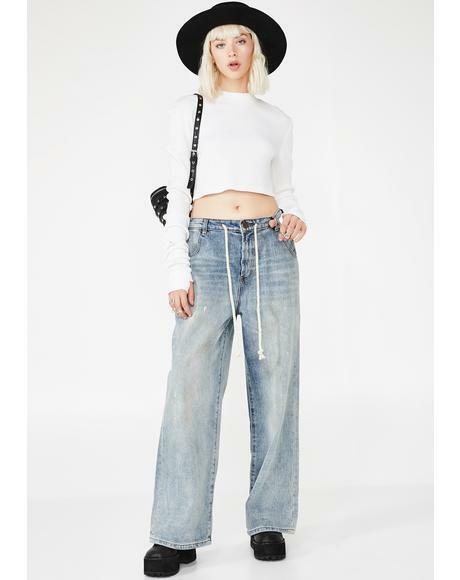 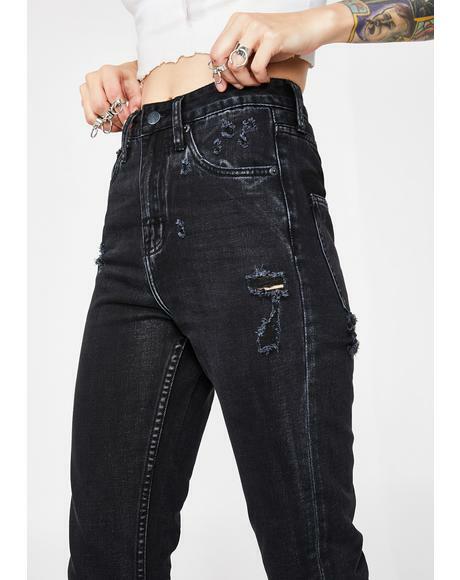 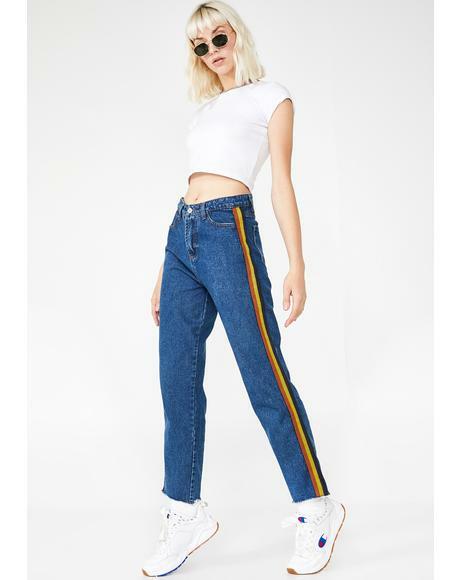 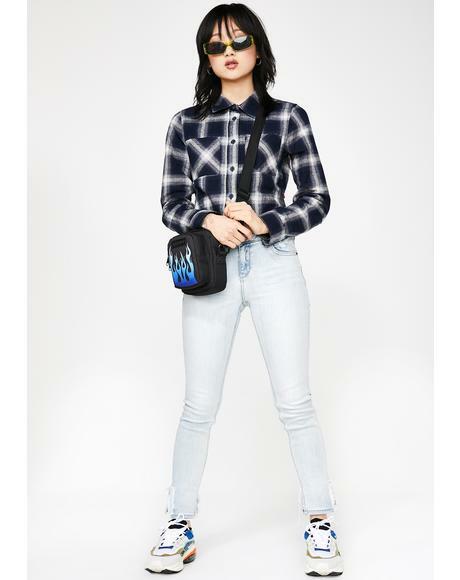 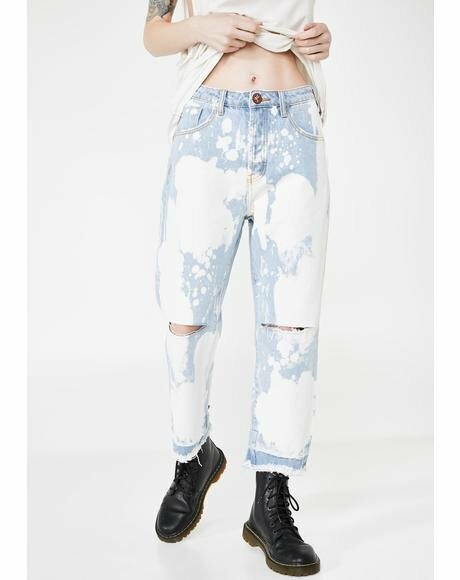 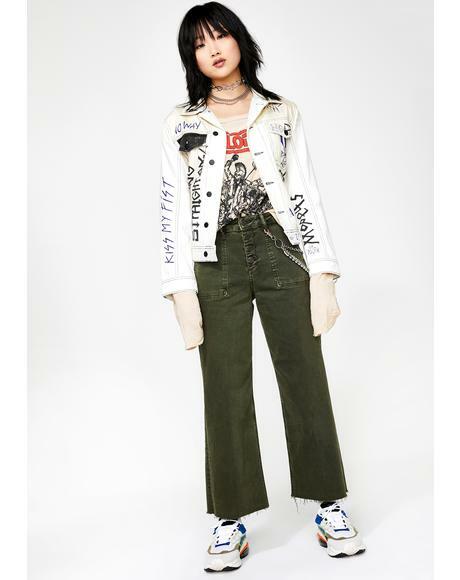 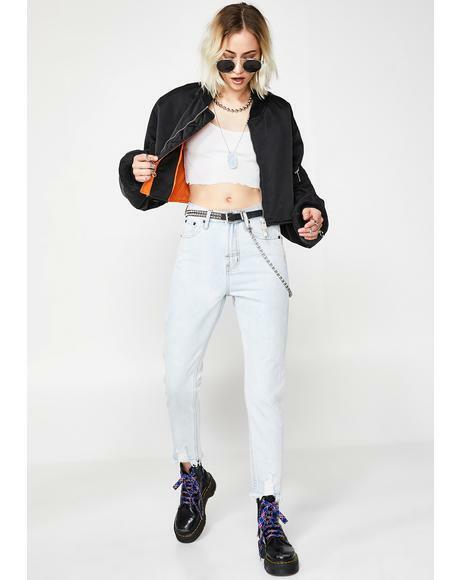 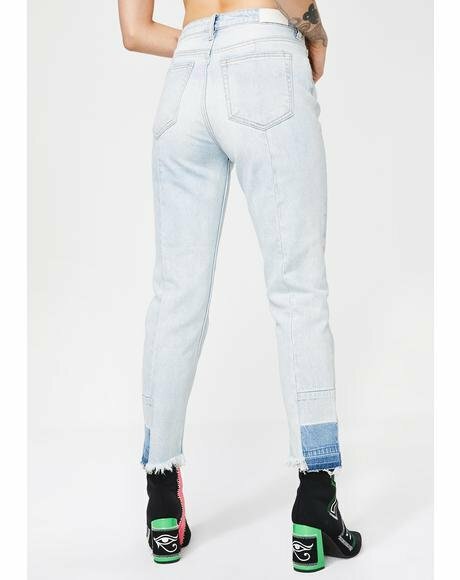 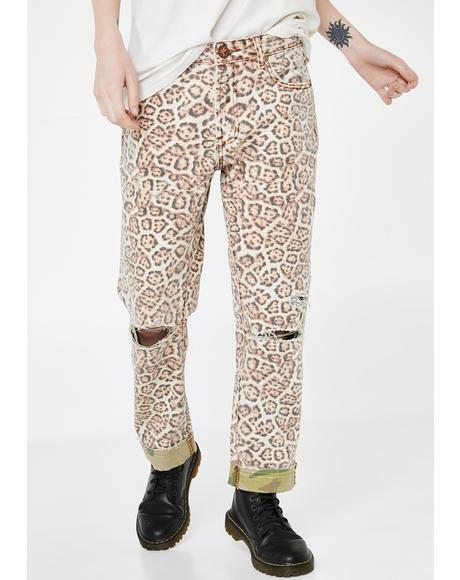 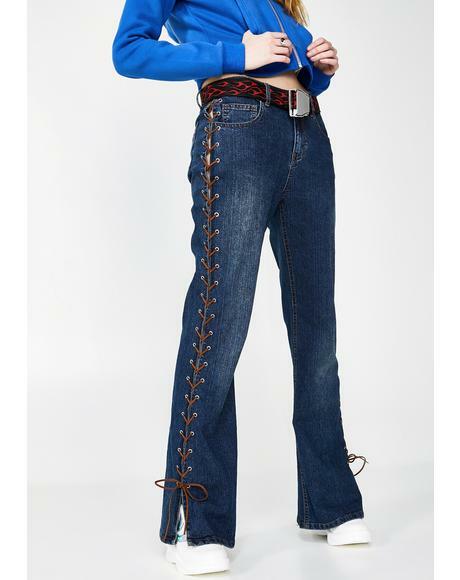 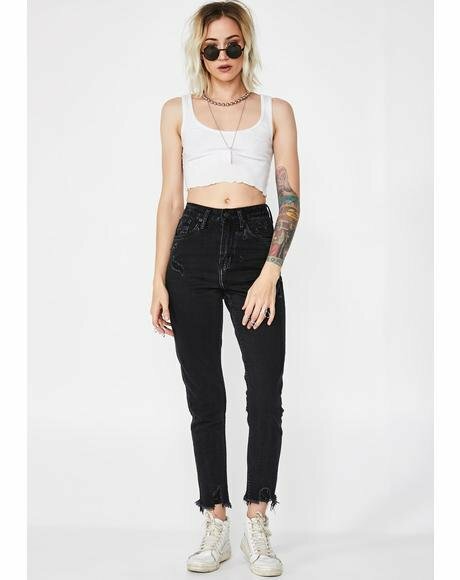 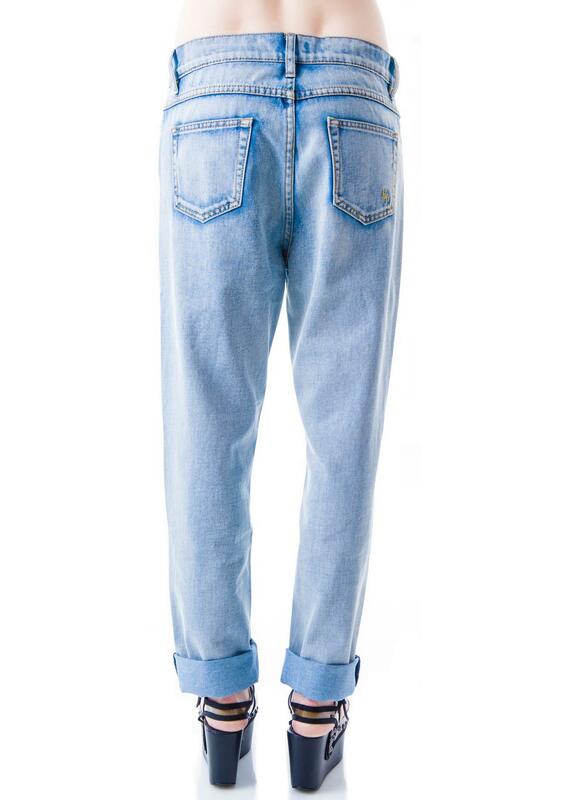 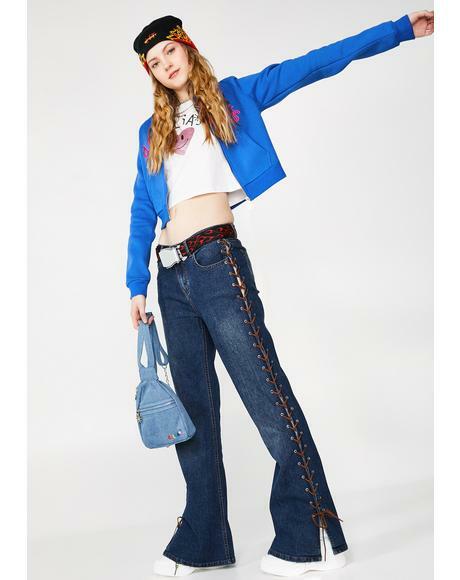 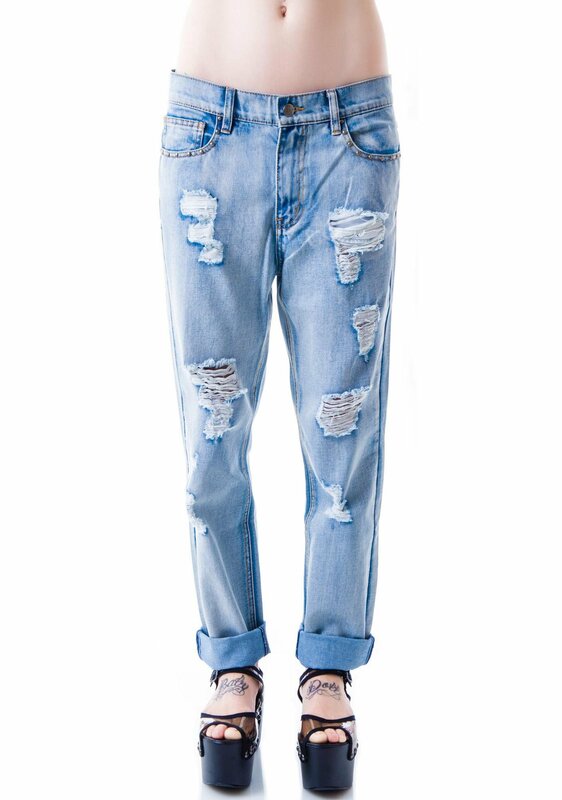 Evil Twin Bad Boy's Boyfriend Jean Vintage Blue are a sikk everyday boyfriend denim that look great and fit even better. 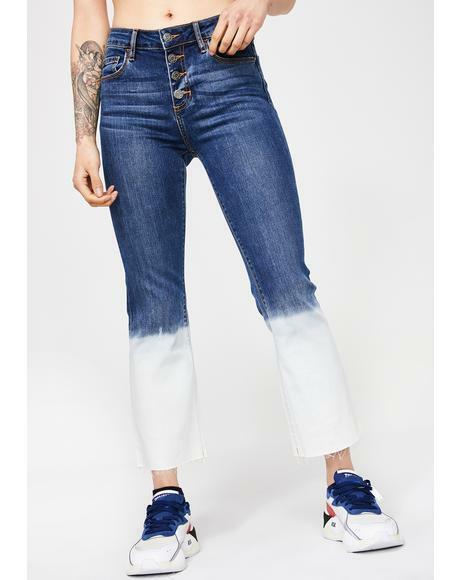 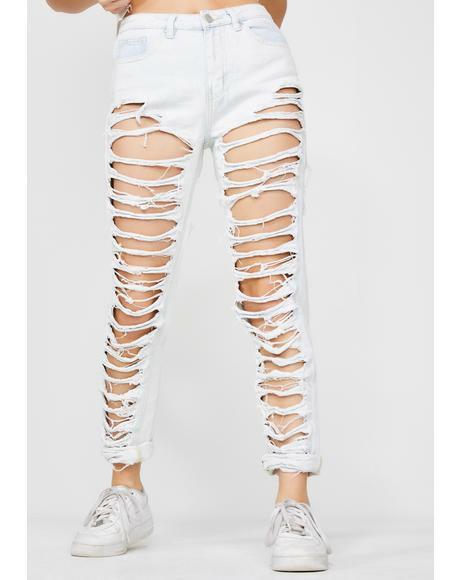 No two denim will ever come out looking the same because all the tearing, breaks and abrasions have been destroyed by hand. 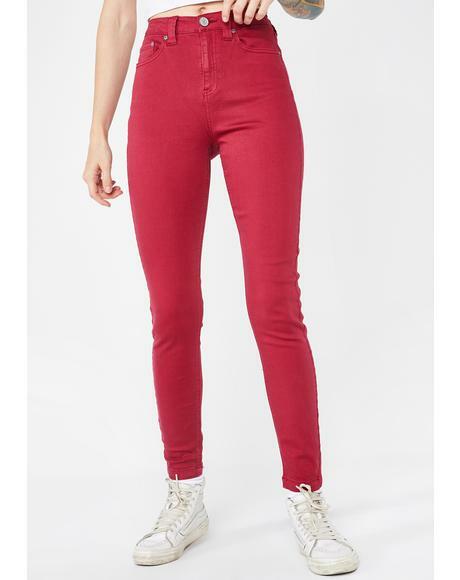 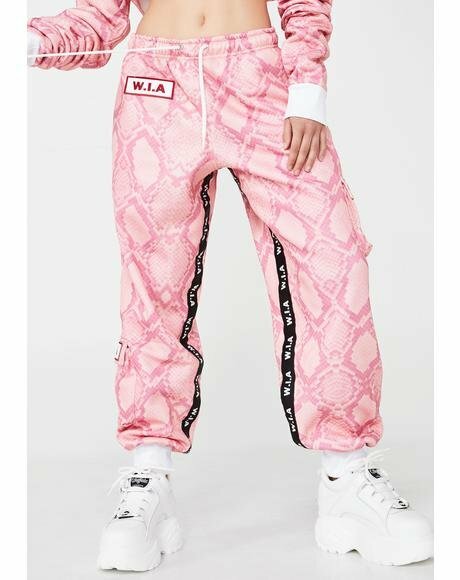 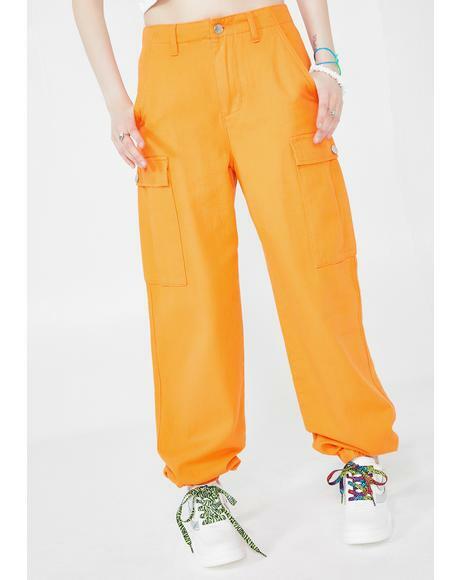 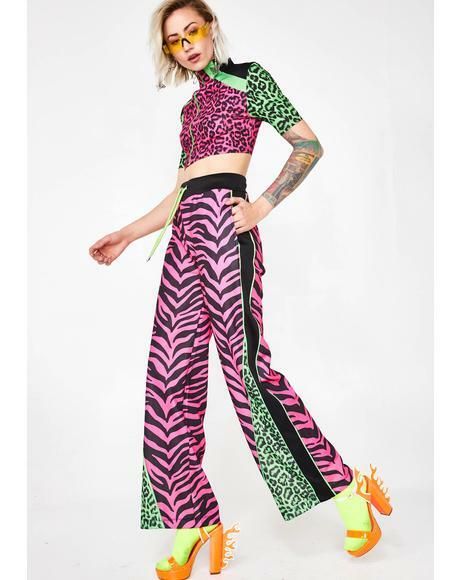 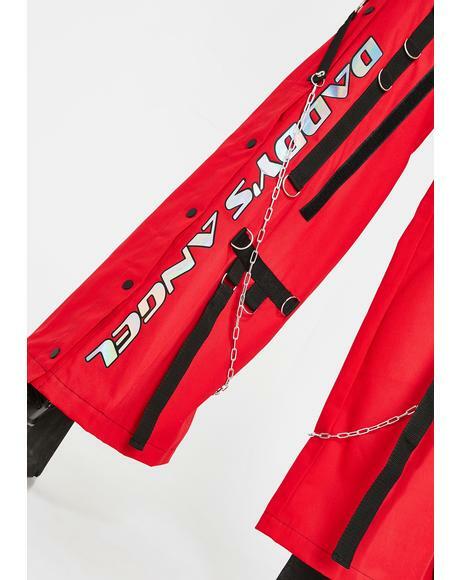 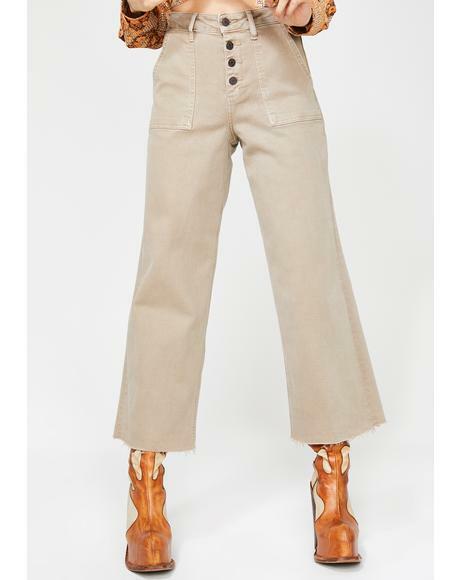 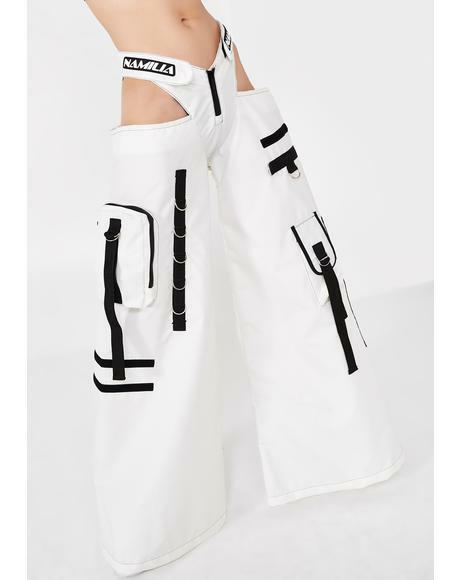 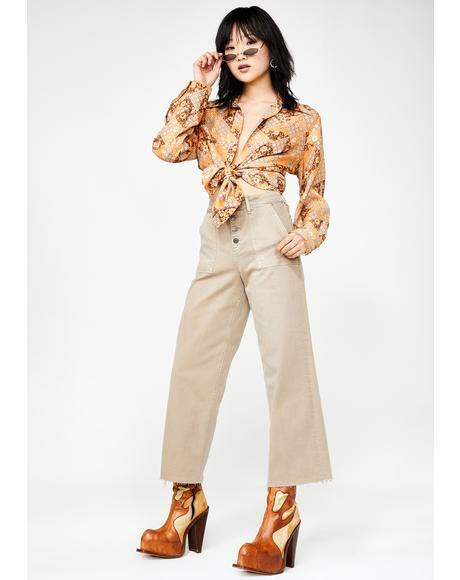 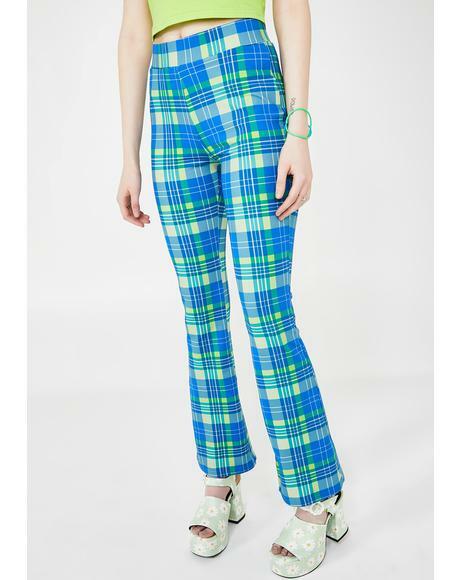 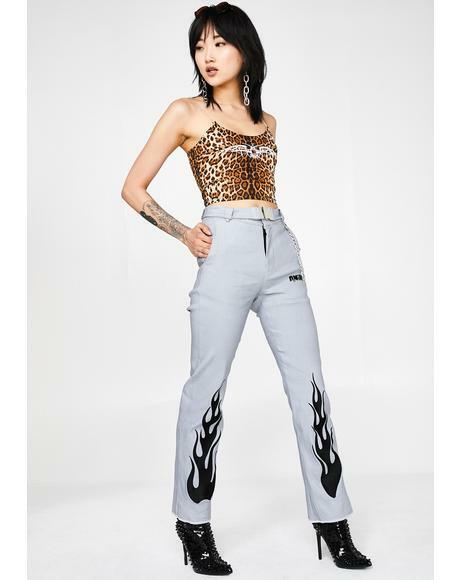 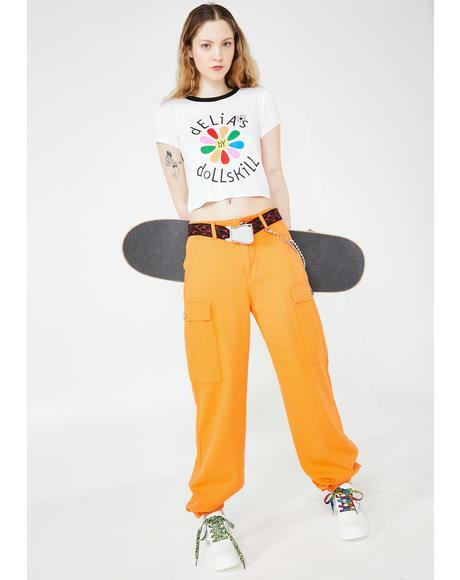 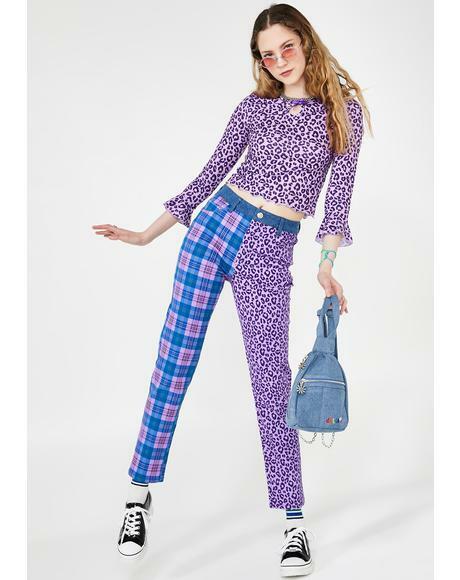 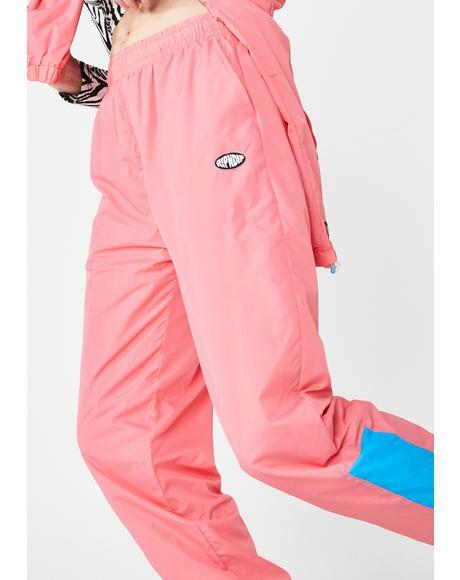 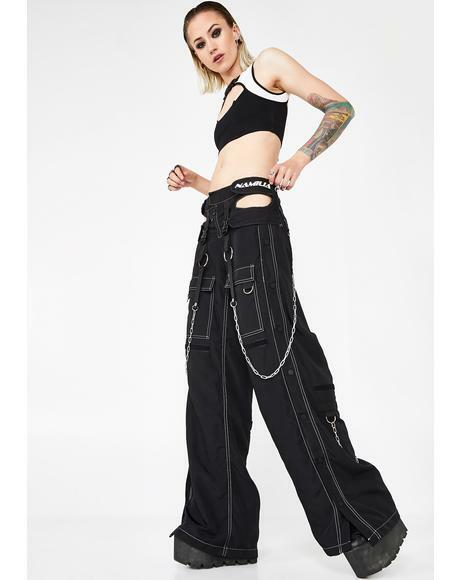 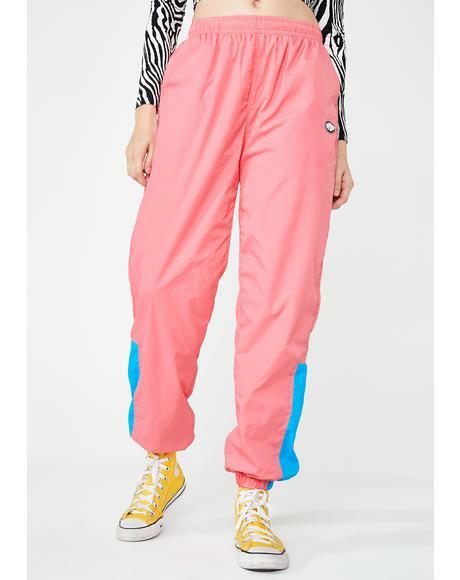 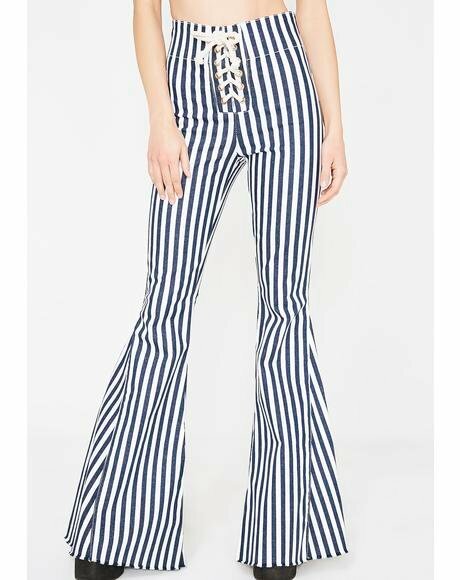 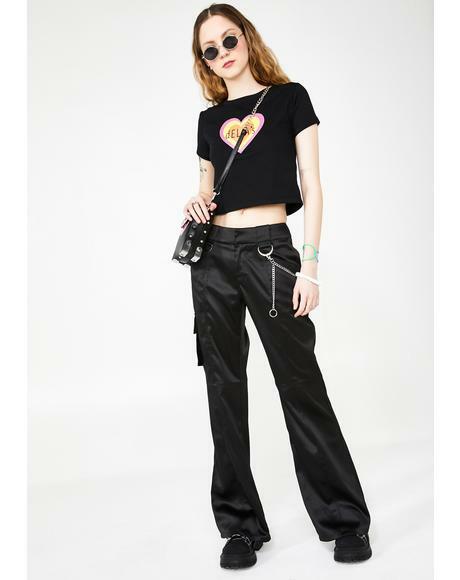 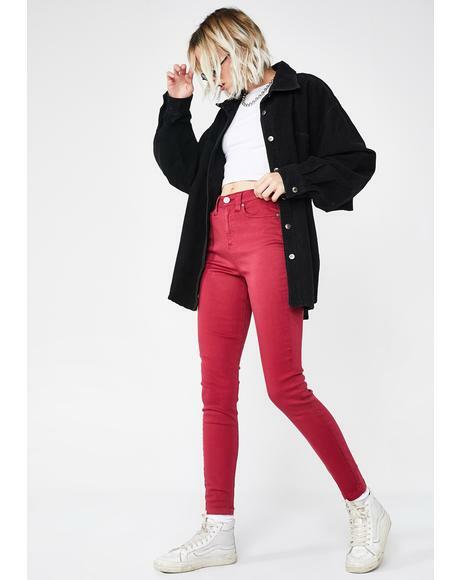 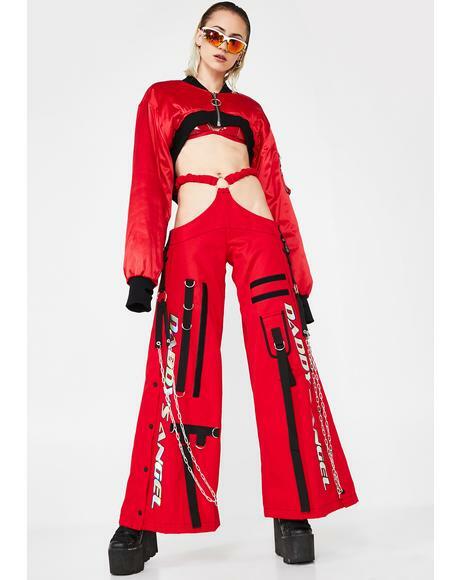 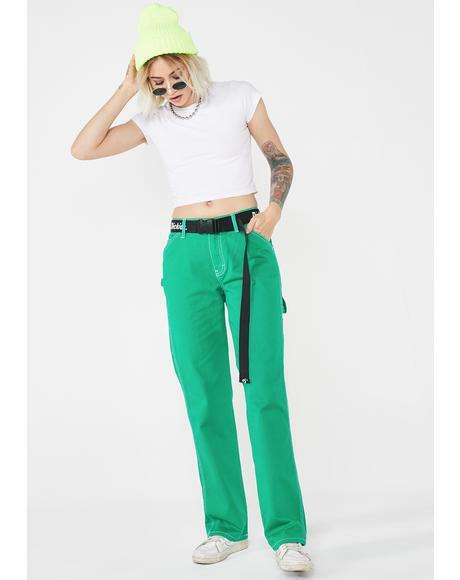 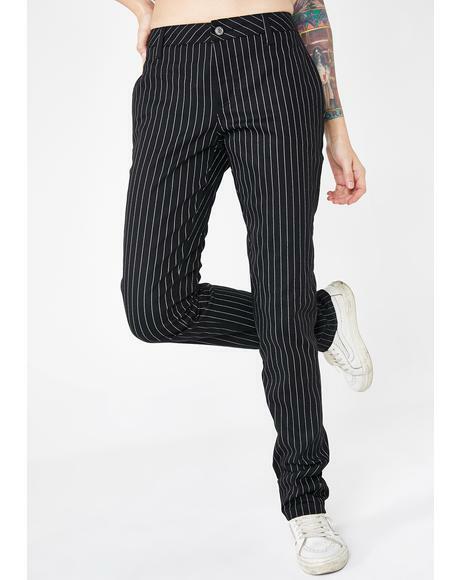 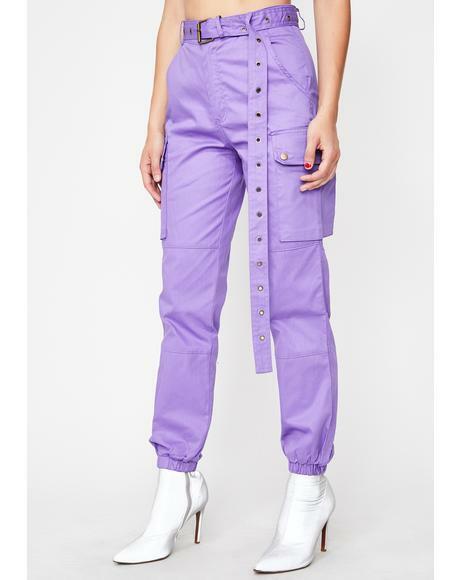 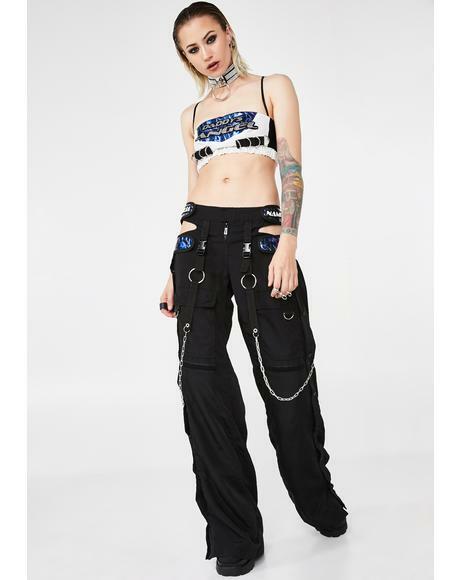 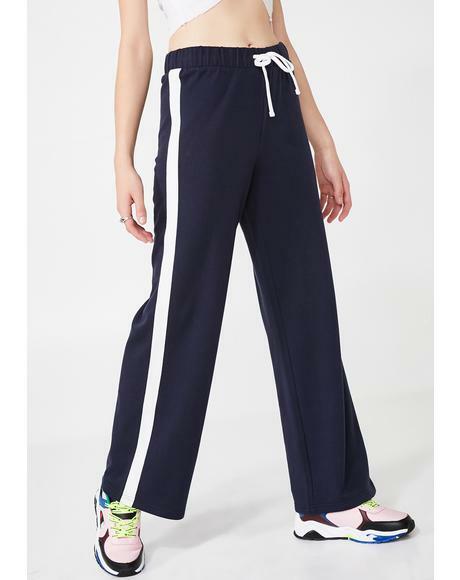 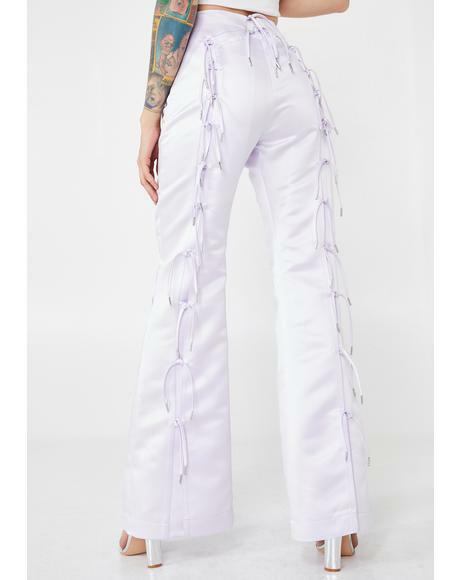 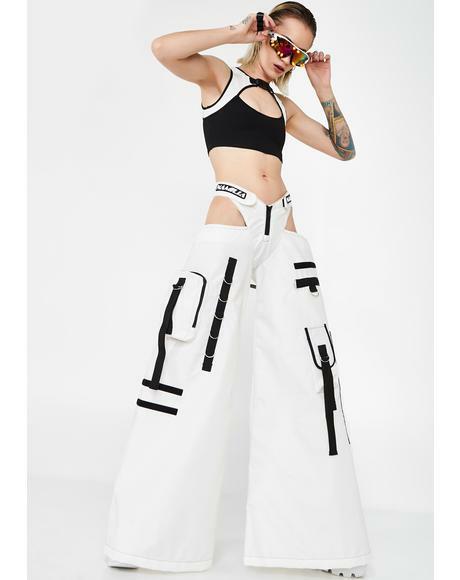 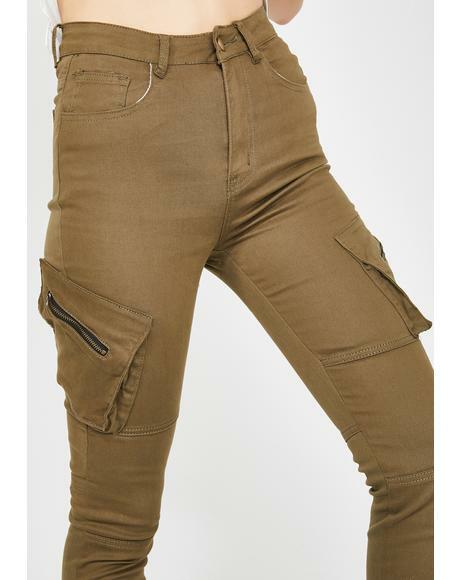 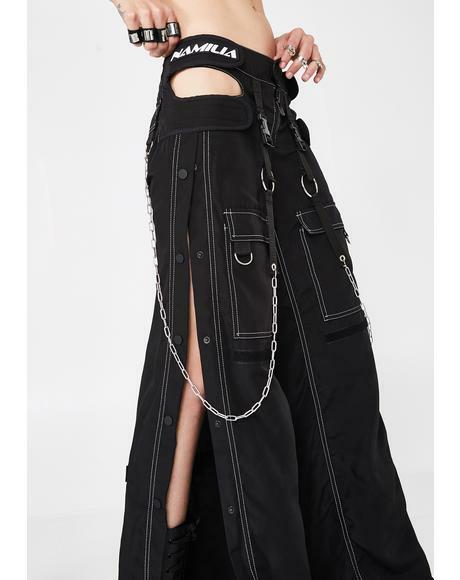 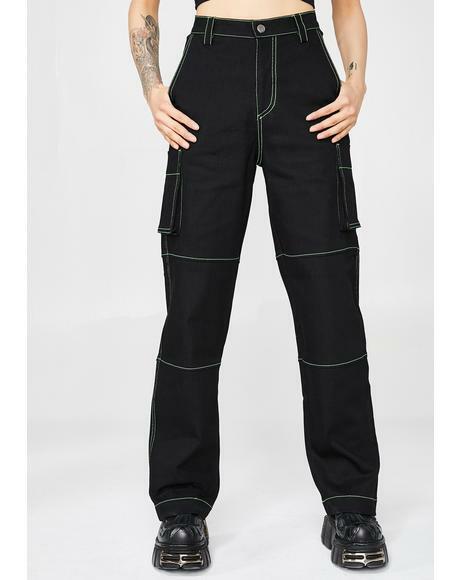 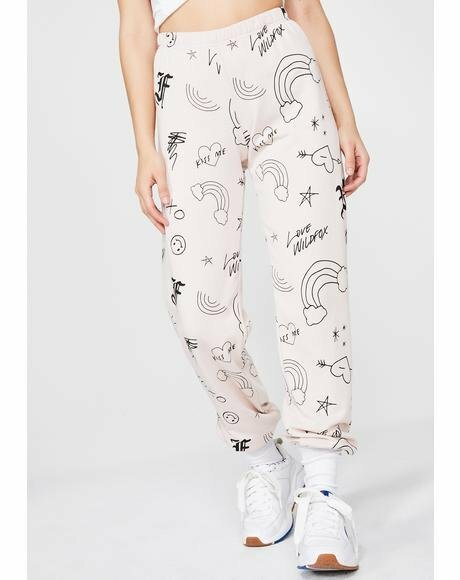 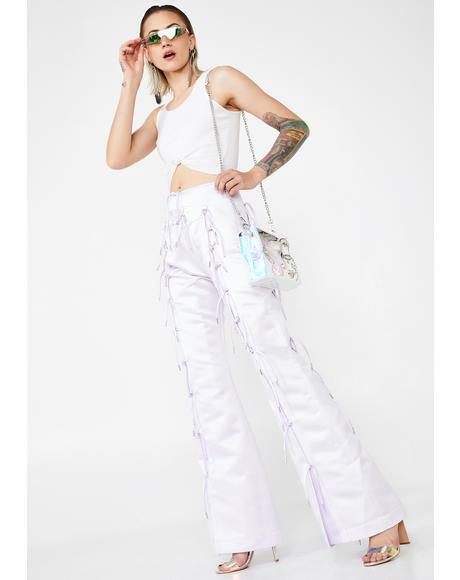 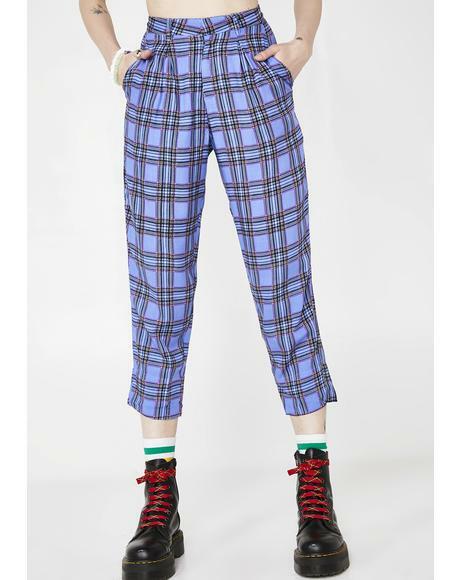 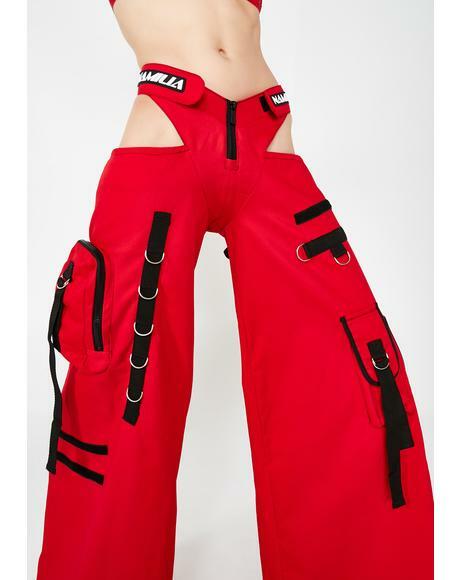 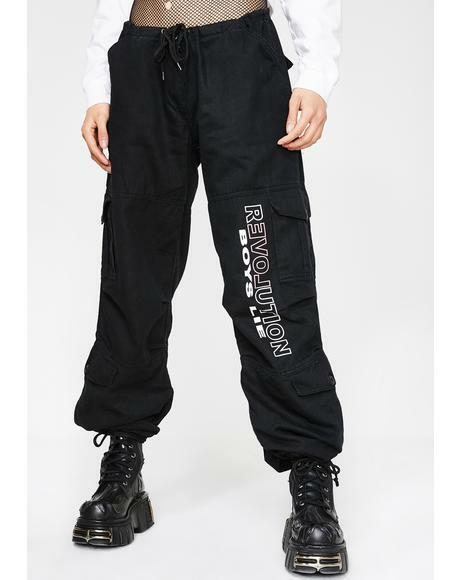 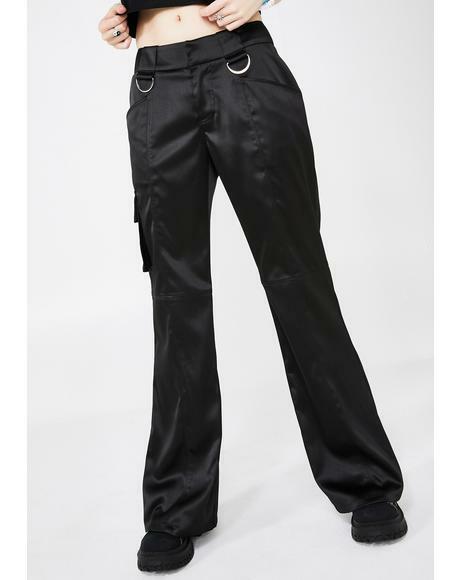 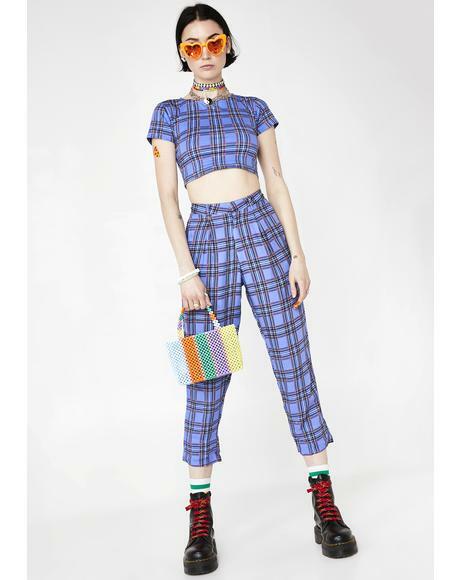 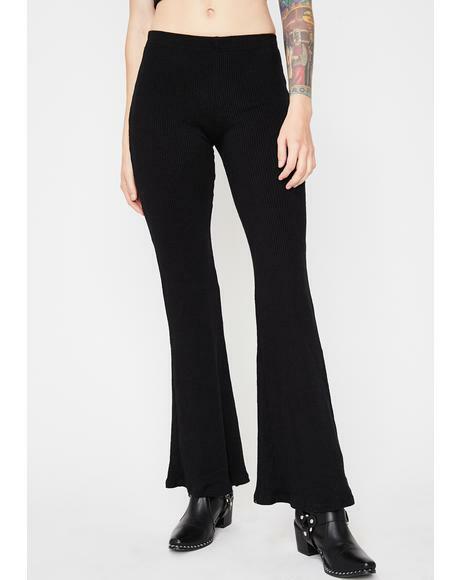 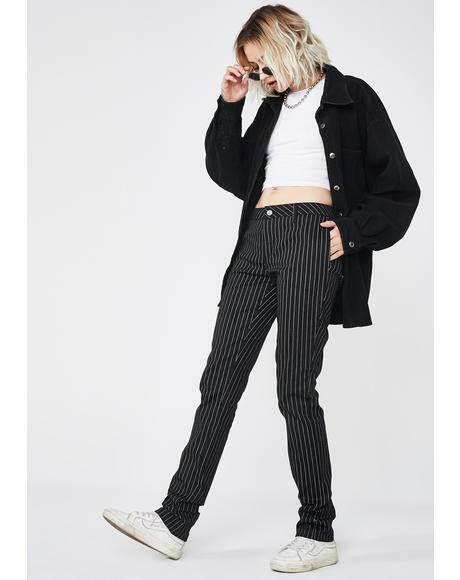 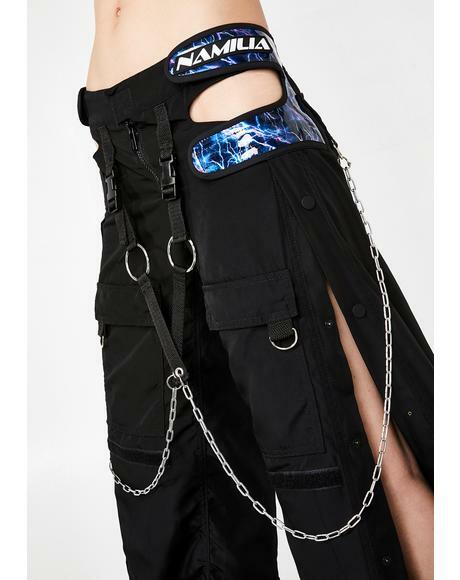 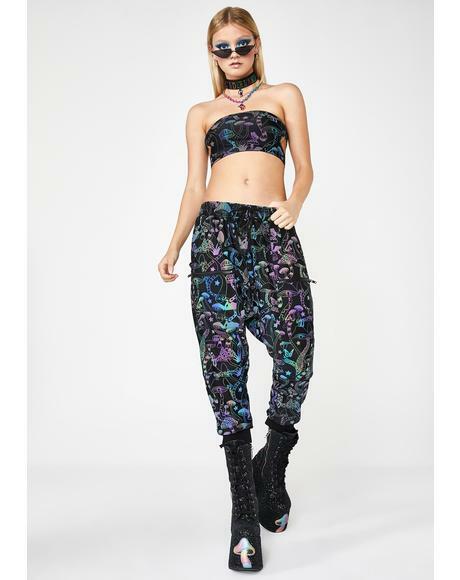 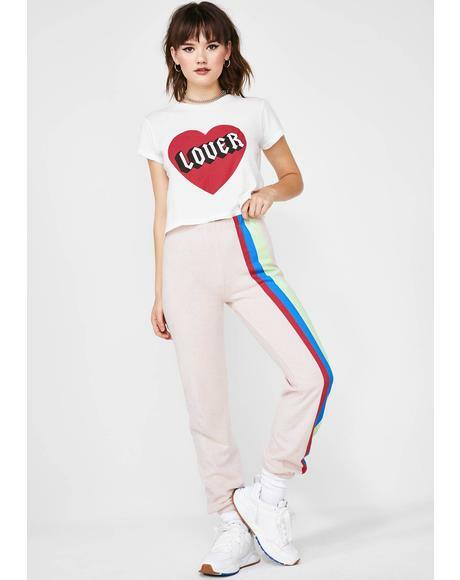 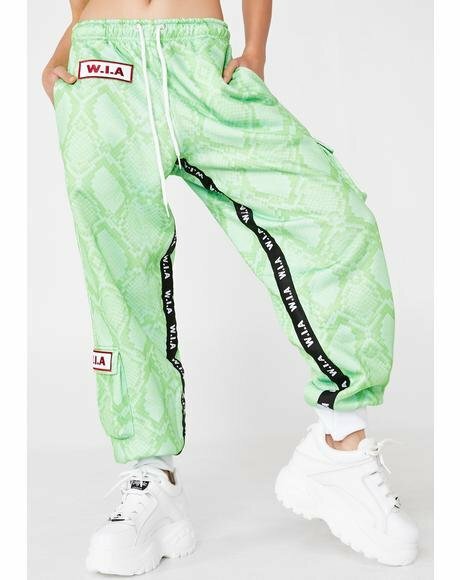 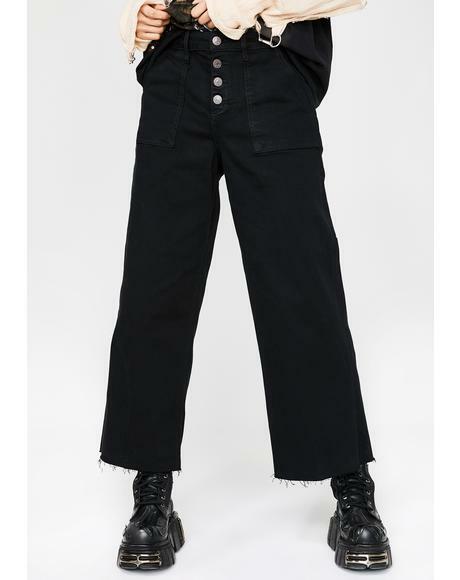 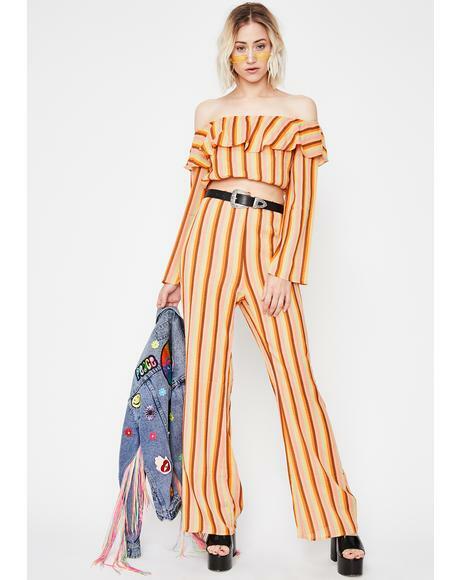 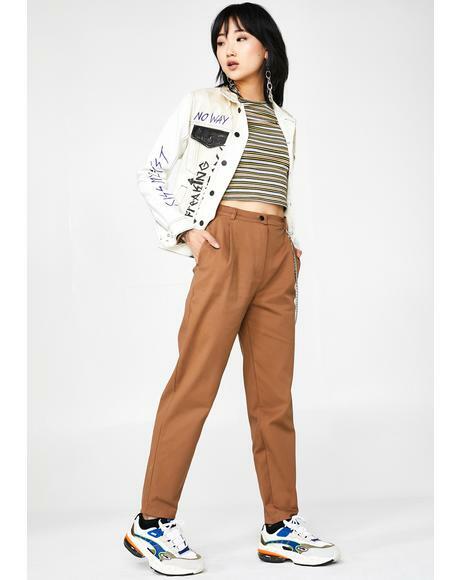 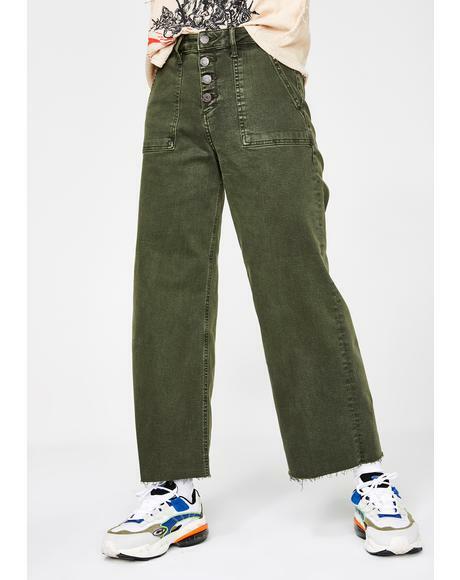 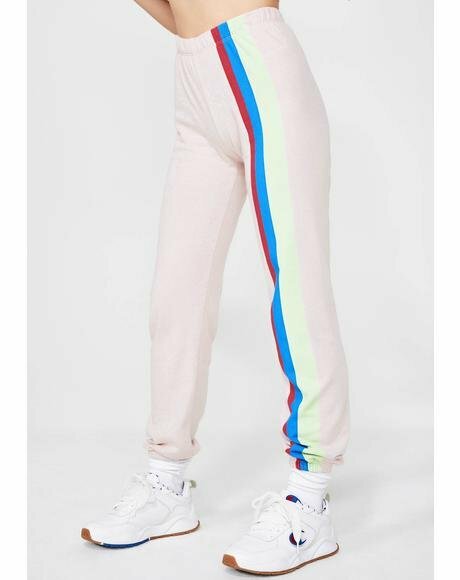 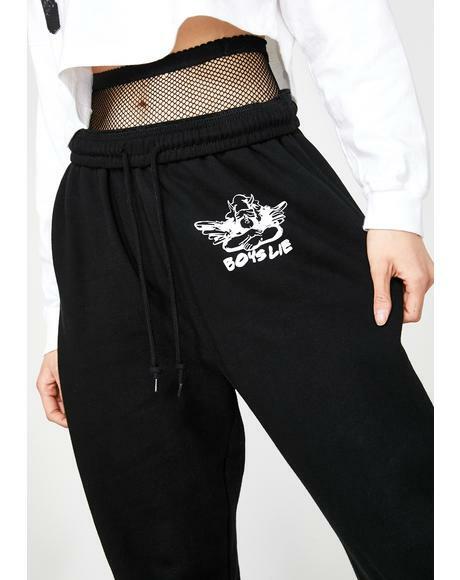 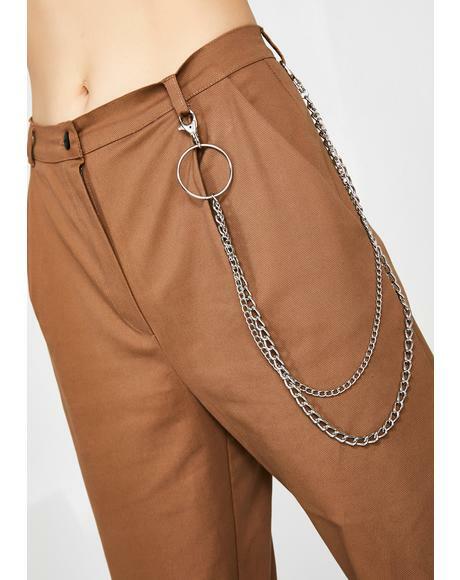 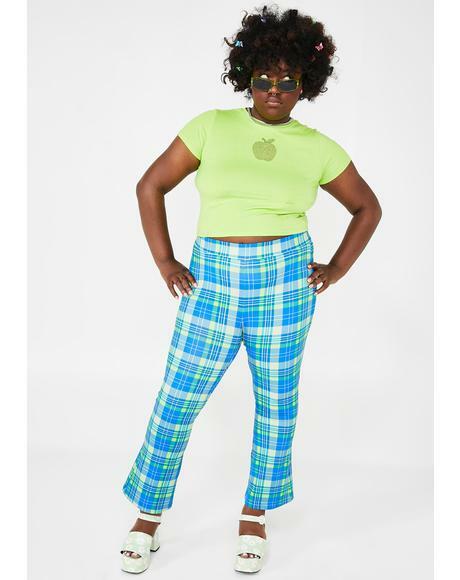 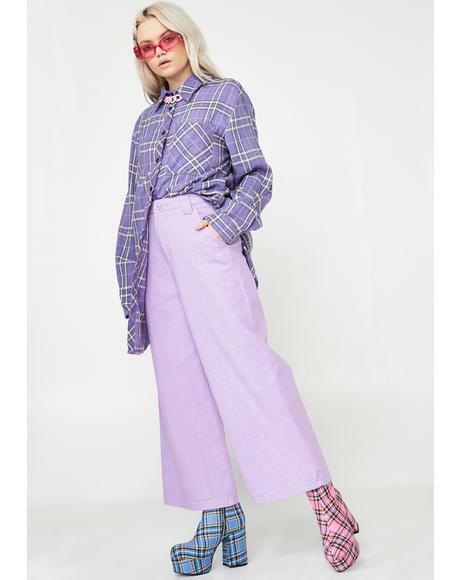 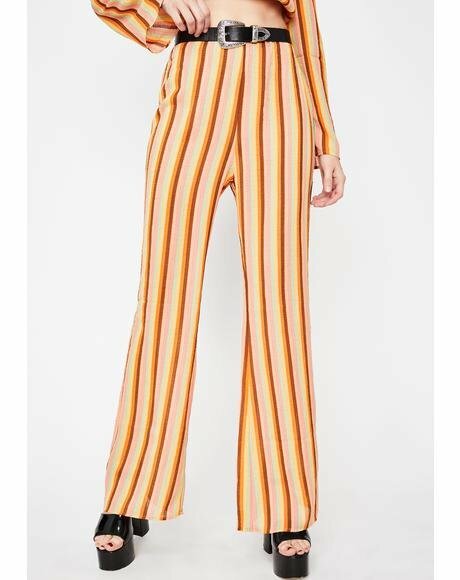 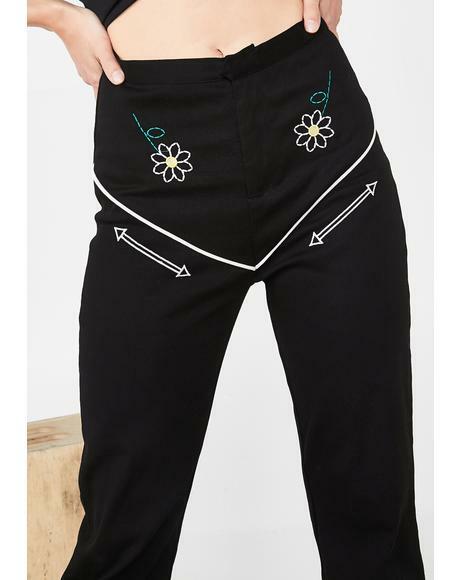 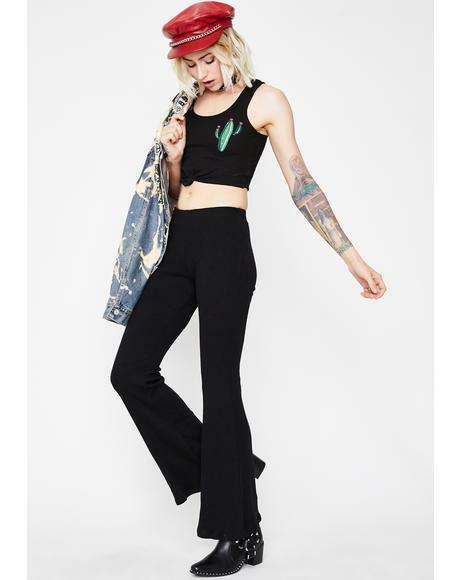 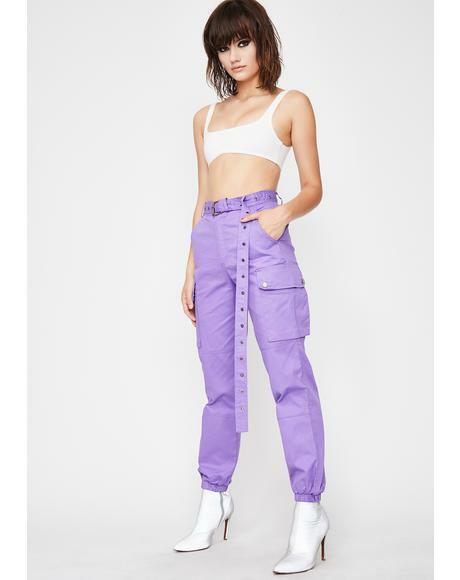 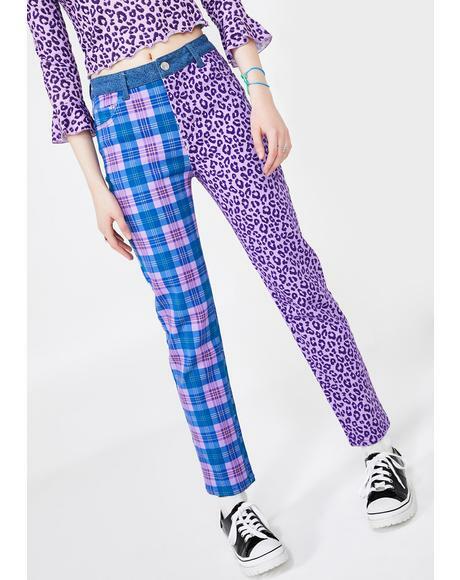 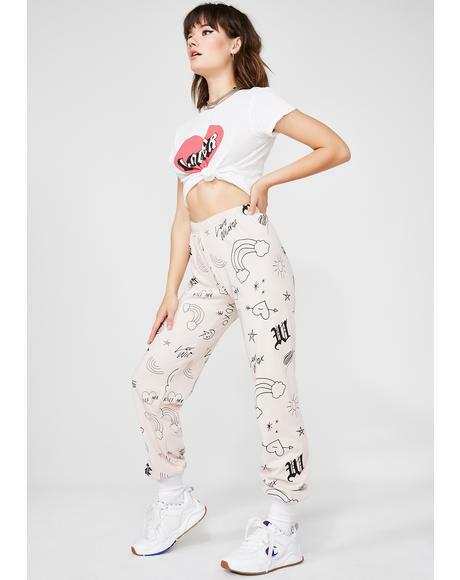 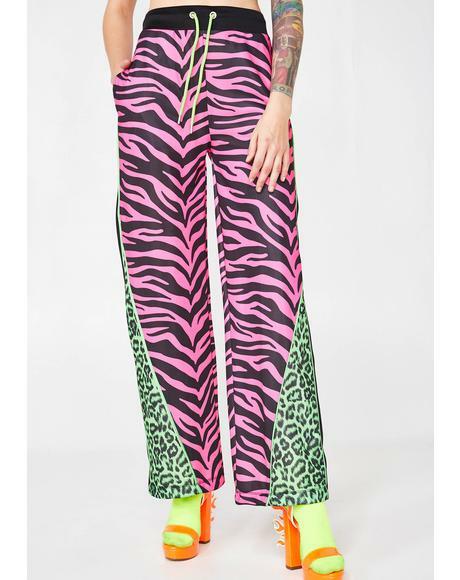 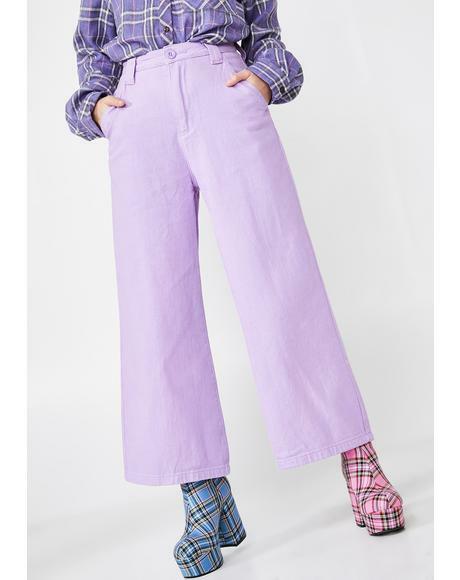 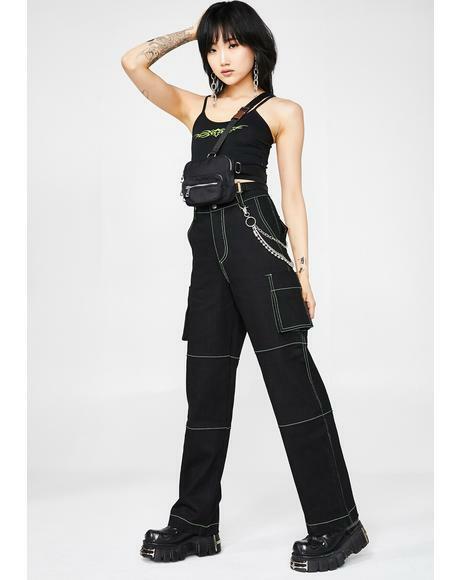 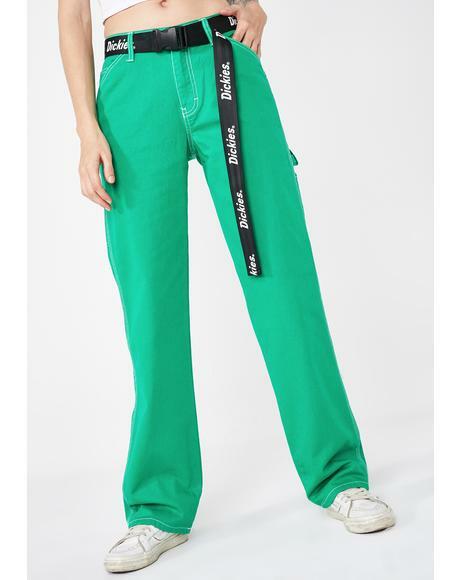 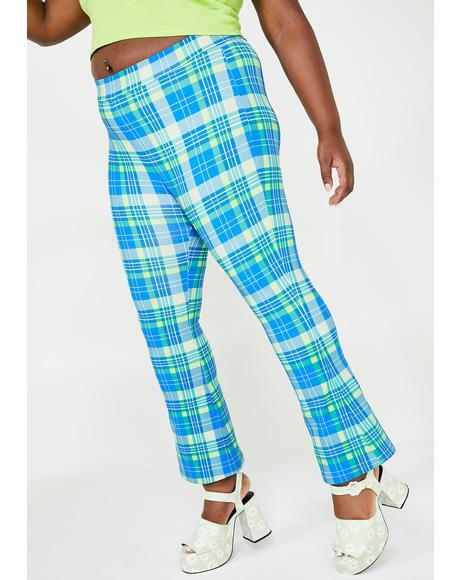 These bottoms have five-pockets total with studs that line the front pockets, a zipper and top button closure, with a medium rise with stretch so it sags on yer hips for that comfy boyfriend fit. 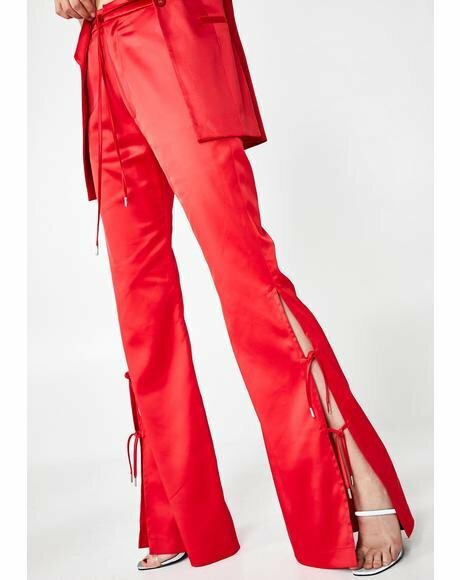 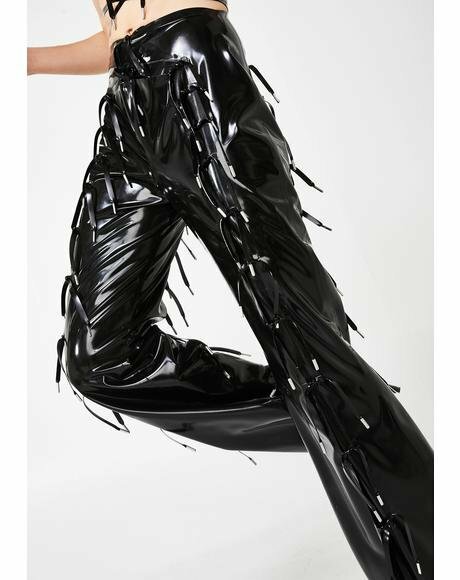 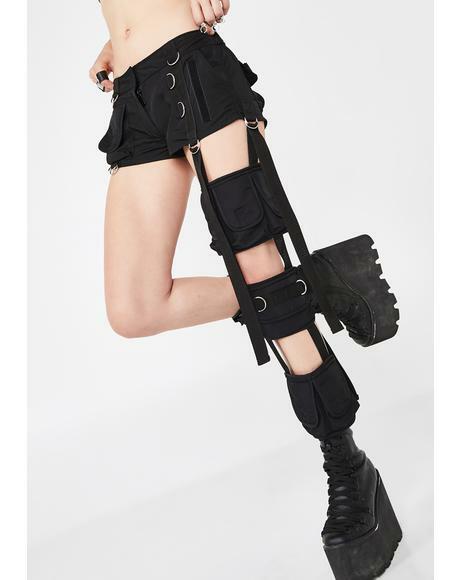 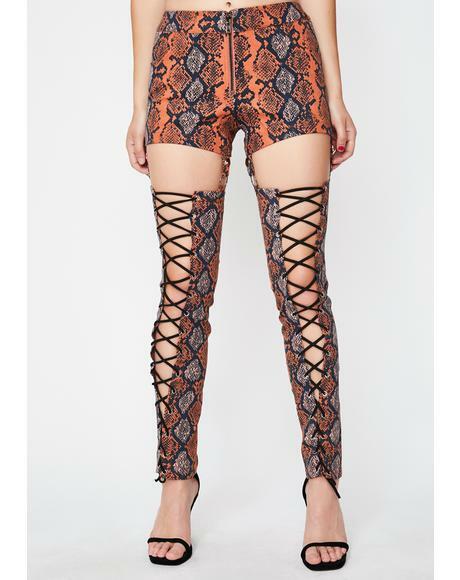 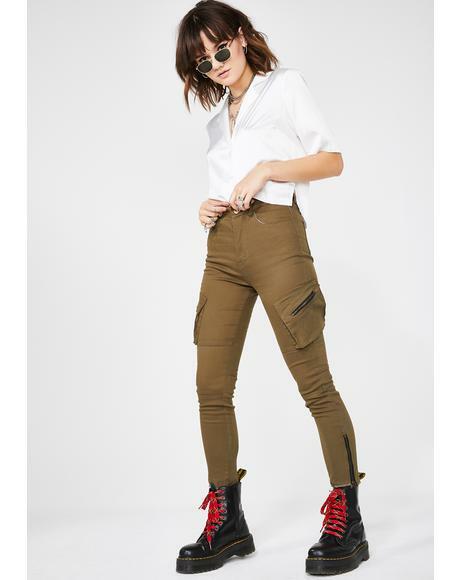 The leg is a loose fit on the thigh that taper slightly towards yer ankle that looks great paired up with military boots or heels to keep the look girly.